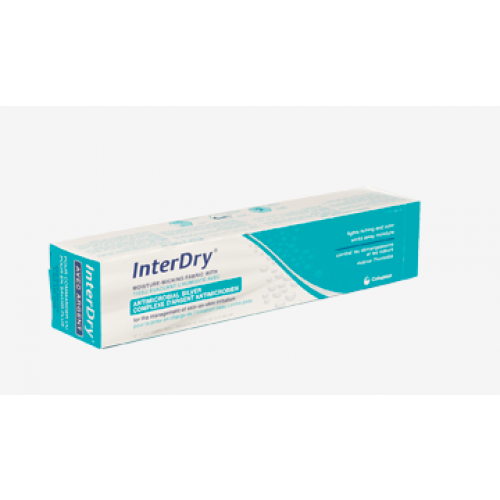 Coloplast InterDry AG Textile with Antimicrobial Silver Complex is a skin fold management system specifically designed to manage moisture, odor and inflammation skin-to-skin contact areas. 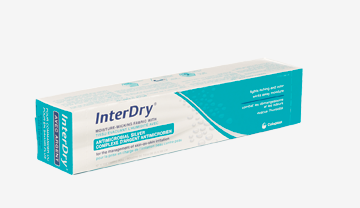 A knitted polyester, moisture-wicking fabric impregnated with silver complex, InterDry Ag provides effective antimicrobial action for up to five days. This action significantly improves the symptoms associated with intertrigo: maceration, denudement, inflammation, itching, erythema and satellite lesions. By wicking moisture from skin, the textile provides a friction-reducing surface to reduce the risk of skin tears and pressure ulcers. This skin-fold management system is latex-free and has a 2-year shelf life.